If you're having issues with a wireless network, forgetting it and reconnecting will often solve the issue. Also if you connected to a network and you don't want it to automatically connect anymore, forgetting it will stop that. 1. 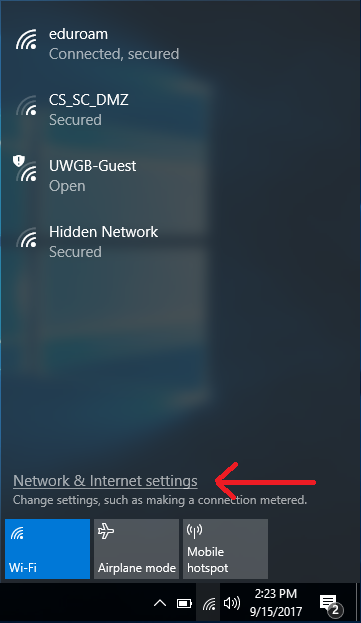 Click on the wireless icon on the lower right hand corner of your screen and select "Network & Internet settings"
3. Click on "Manage Known networks"
4. 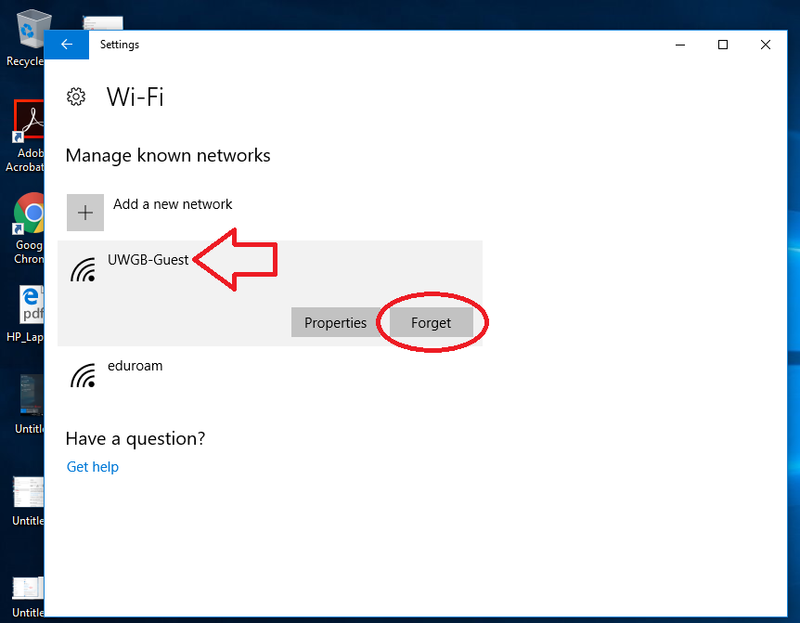 Next click on the network you'd like to forget and then click "Forget"
You can remove any wireless network profile stored by Windows 10, even if the network is not in range, with the help of Command Prompt. 1. Search for "Command Prompt" in the Start menu and right click and select "Run as administrator"
2. Type the following command: netsh wlan show profiles. 3. 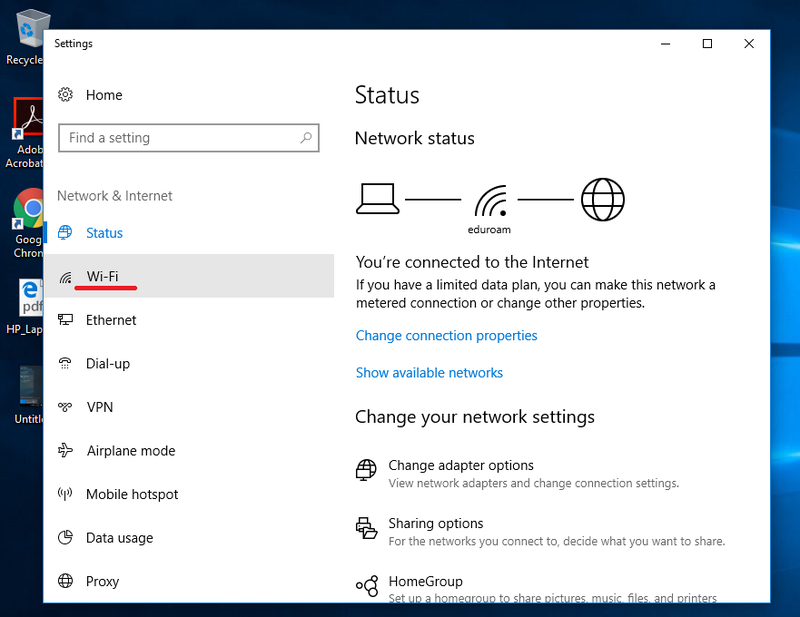 It will display all the wireless network profiles stored by Windows 10. The list can be long if you've used your laptop or tablet for more than a couple of weeks. 4. 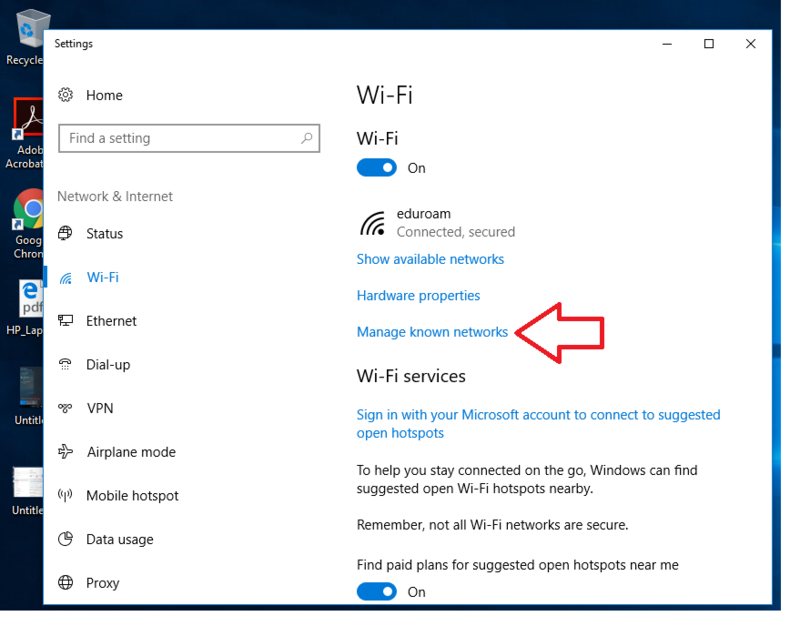 Identify the name of the wireless network profile you want removed, then type the following command to remove it: netsh wlan delete profile name="profile name". As an example, we wanted to remove a wireless network profile named eduroam, so we typed: netsh wlan delete profile name="eduroam".